Ultra low maintenance - Service the XDS yourself in less than 10 minutes! 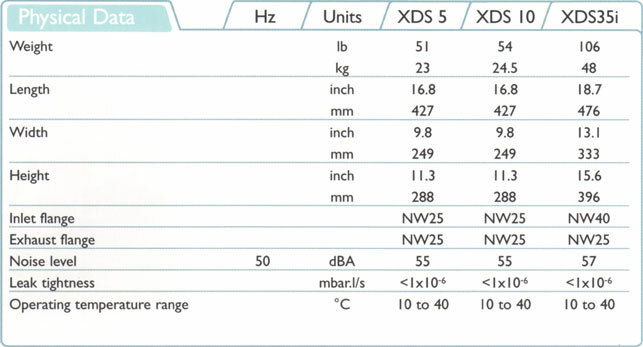 The XDS range of pumps reflects a unique award winning dry pumping technology. It is designed to provide a robust and clean dry pumping solution for all applications. 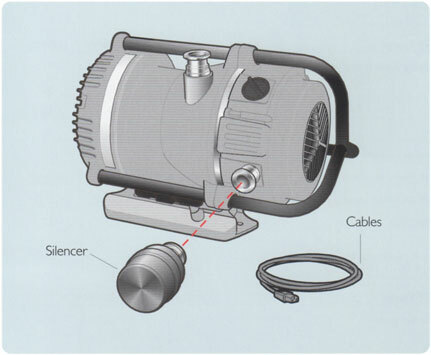 All pumps in the range are approved to UL and CSA standards and backed by BOC Edwards' worldwide service and support. 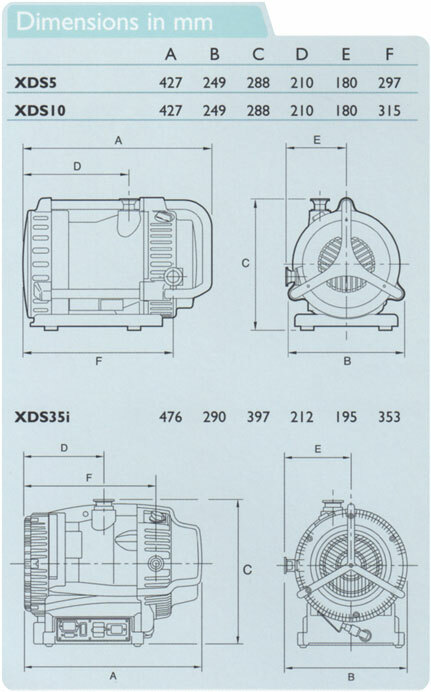 XDS pumps use an innovative patented bearing shield to isolate the vacuum environment from all forms of lubricant, not only making it totally dry but also hermetically sealed. 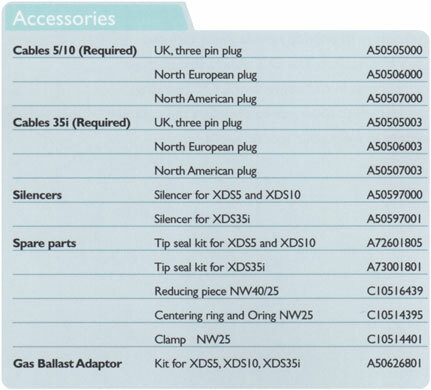 † This part number includes the line cord if ordered in the US.